Those that endure to the end. Never give up on your dreams. It is important to know your dreams are a sneak preview of your destiny. You are given dreams because it is encouragement to keep going and endure to the end so that you will see in the natural what has happened in the spirit. 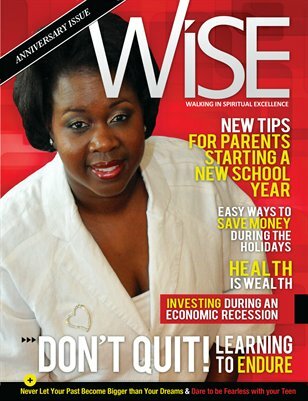 WISE Magazine: Those that endure to the end.